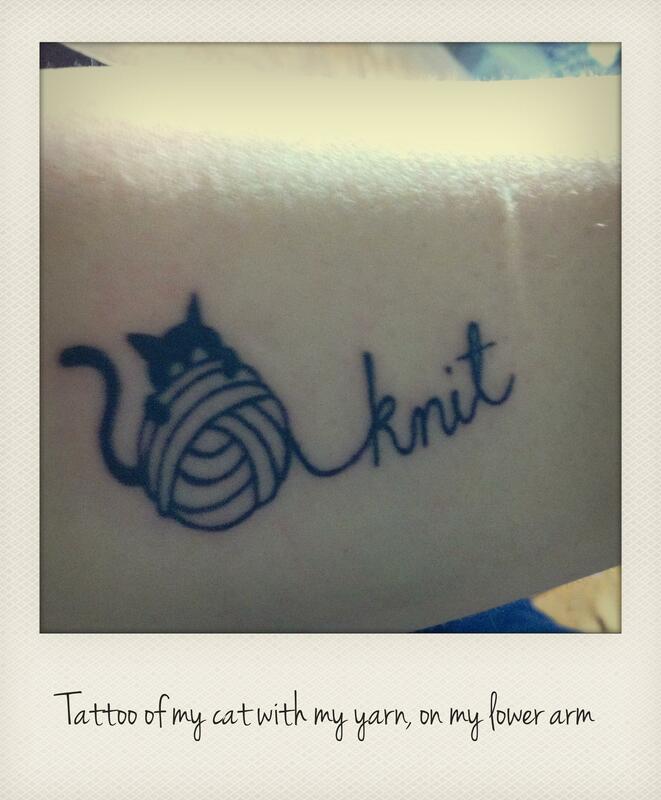 AS AN AVID YARN BOMBER AND CAT LOVER, I DECIDED IT WAS TIME TO COMMEMORATE MY LOVE OF KNITTING, FELINES & RENEGADE NANA CRAFT, WITH THE ABOVE TATTOO. 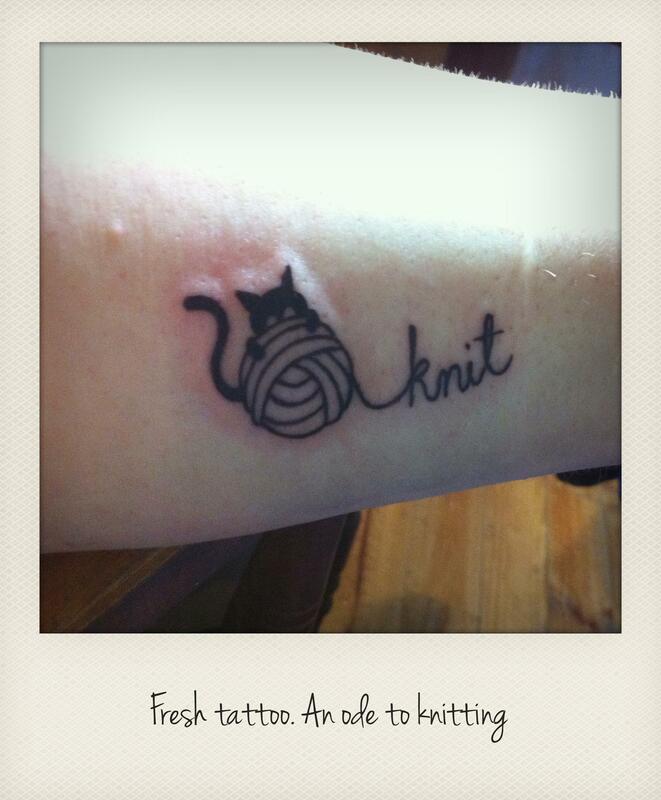 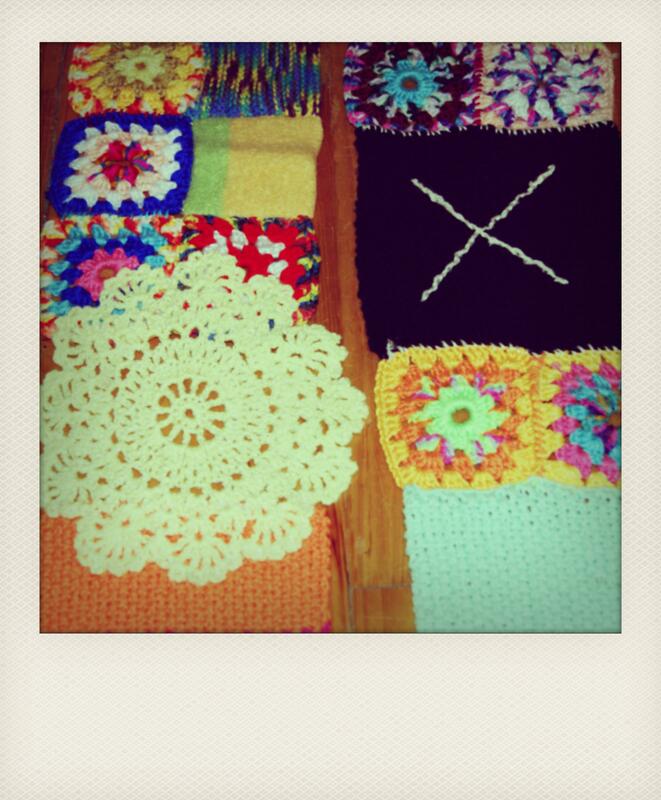 I’VE BEEN KNITTING EVER SINCE I SAT BEHIND THE COUNTER OF MY MUMS CRAFT SHOP, AS A LITTLE GIRL. 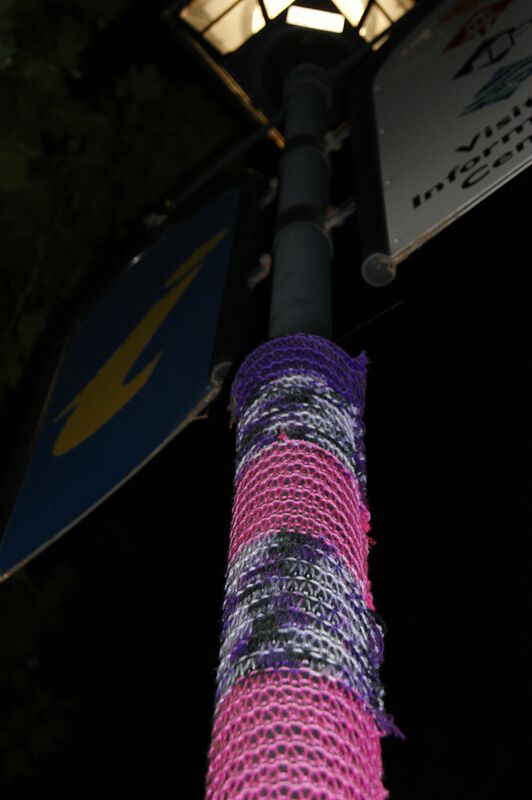 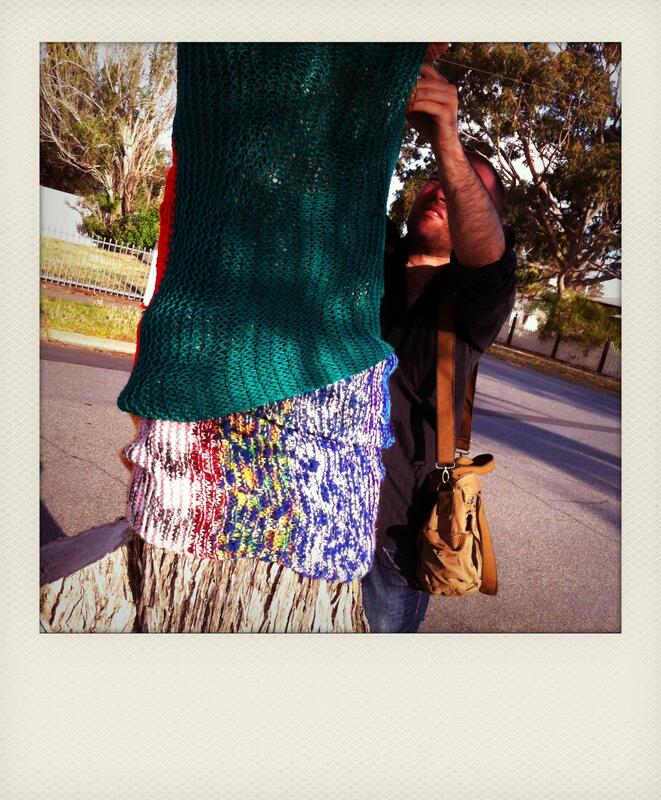 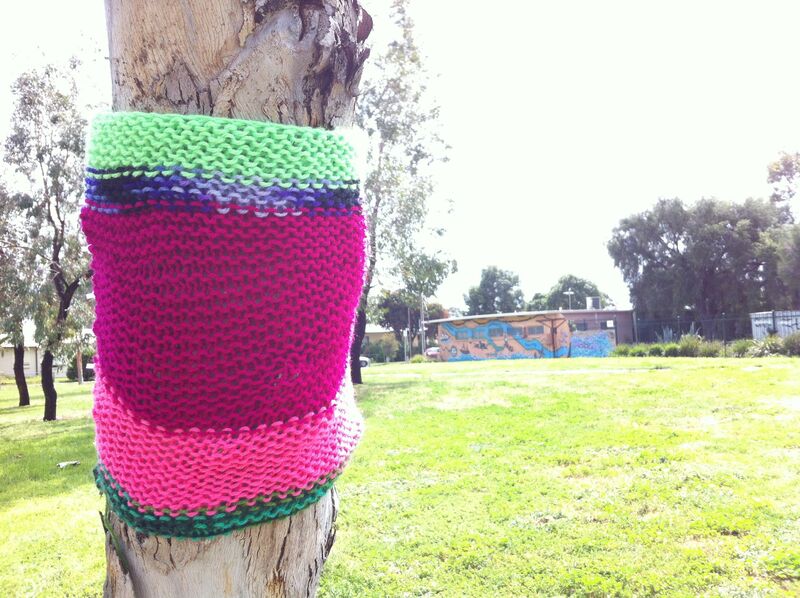 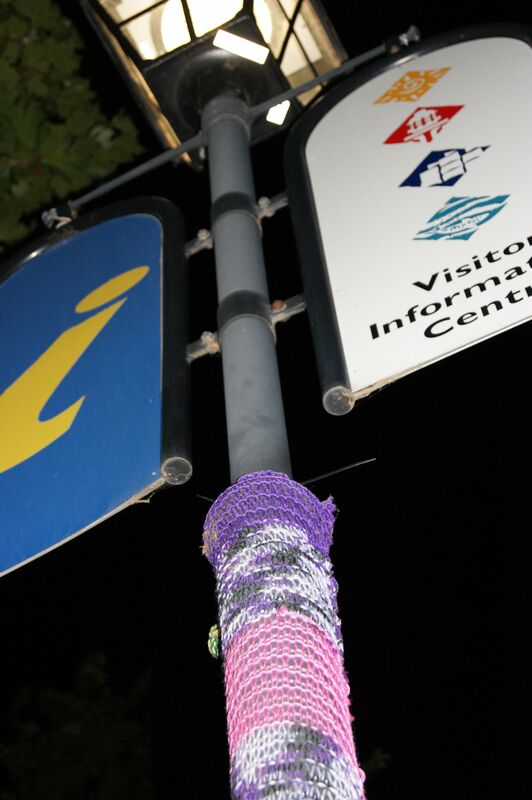 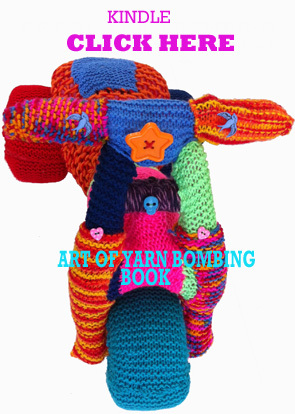 IN MY EARLY 30’S I DISCOVERED YARN BOMBING, THE PERFECT MIX OF TRADITIONAL CRAFT AND MODERN DAY STREET ART. 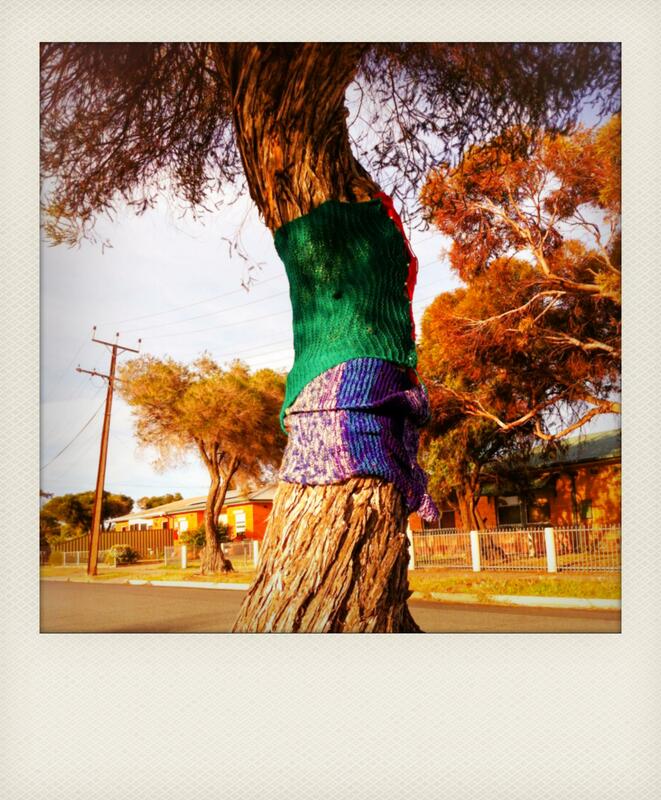 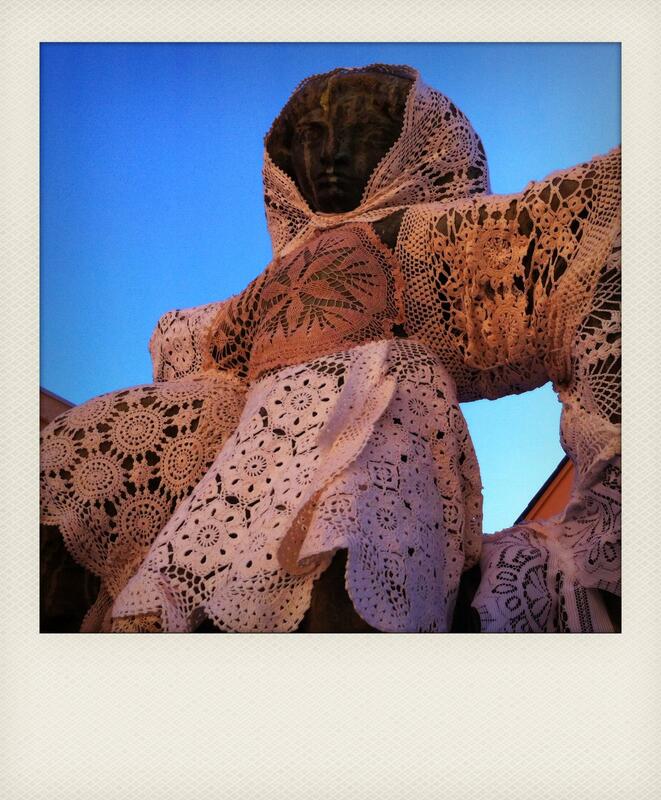 This entry was posted in knitting, photography, polaroid pictures, Yarn bombing and tagged craft, knitting, photography, POLAROIDS, street art, TATTOO, TATTOOS, yarn bombing on December 15, 2013 by yarnbomb. 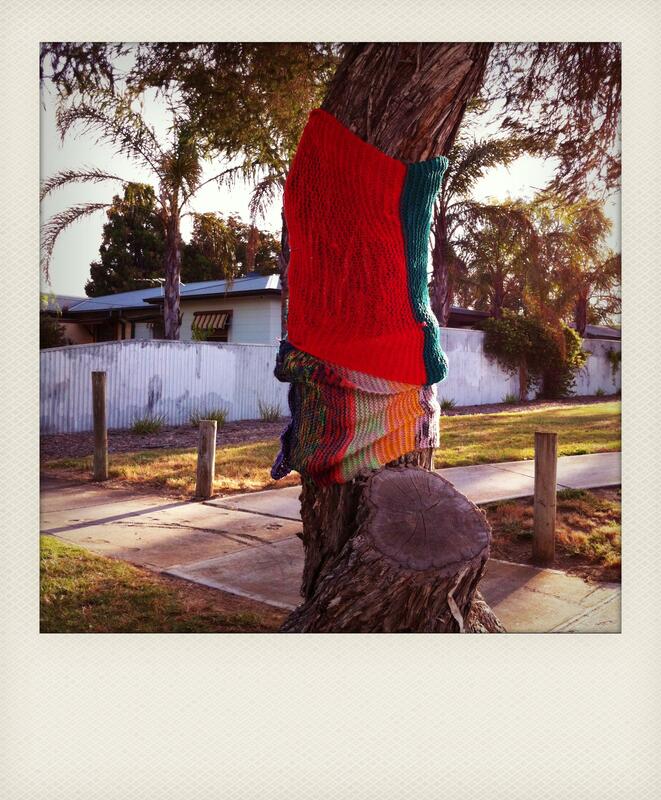 I knit to relax and since I already have too many scarves and plenty of blankets I started using my knits to yarn bomb poles and tree’s out front of my house and in my local area. 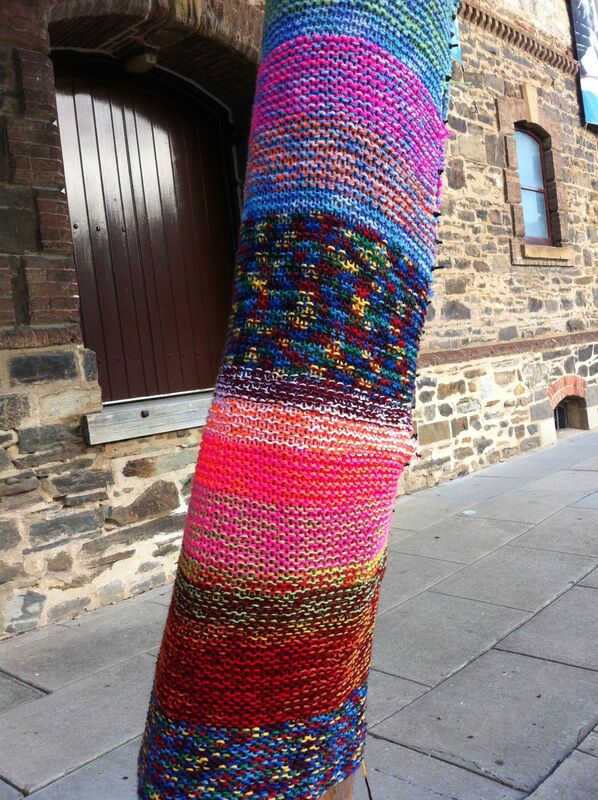 When I’m not knitting in front of the telly or out yarn bombing harmless light poles I make shoes. 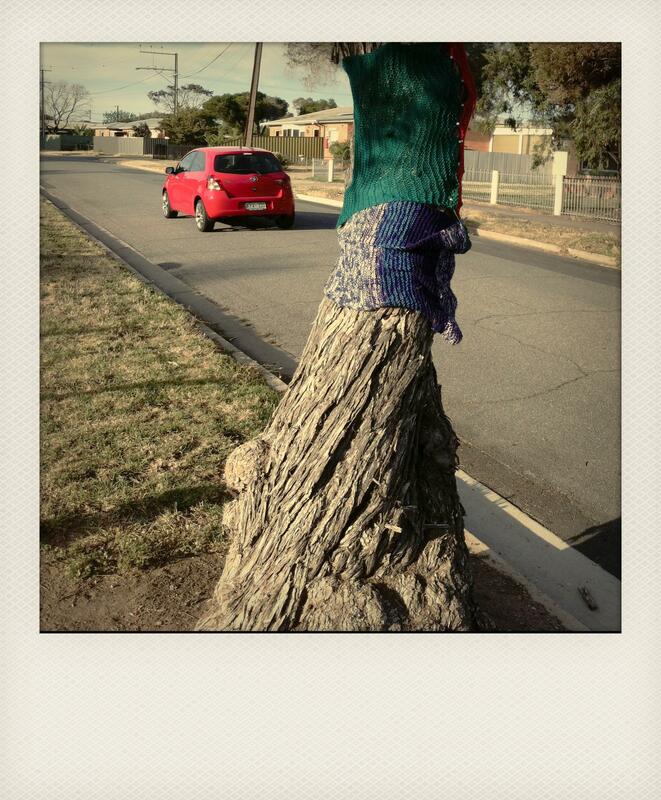 I hand stitched this pair. 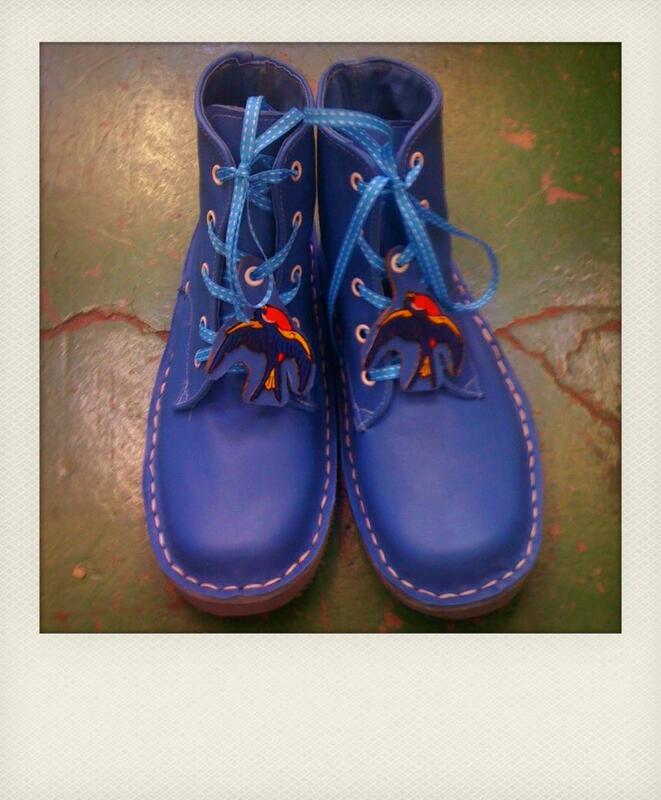 The laces are made from grosgrain ribbon & I made little bluebird shoelace hangers for them. 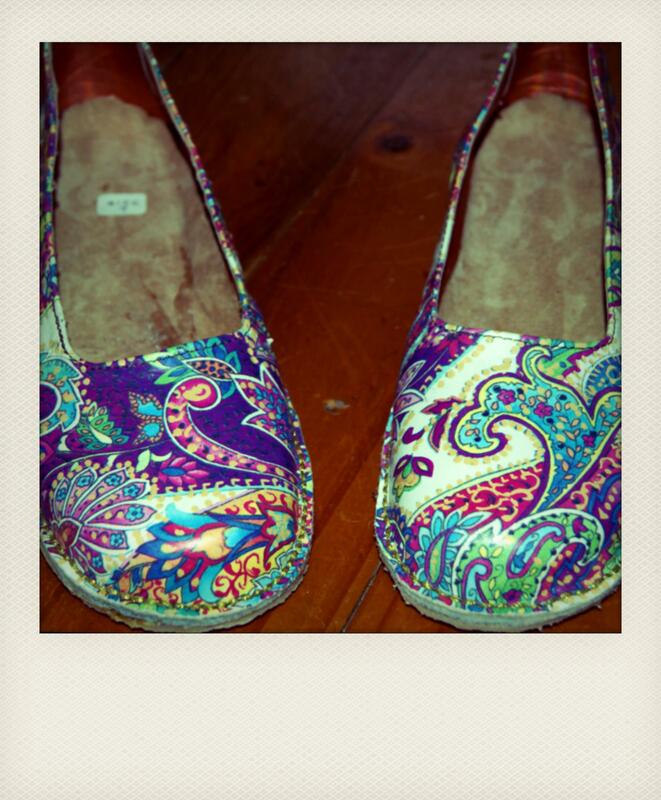 I’m very inspired by retro designs so I hand stitched these little toe tappers in paisley. 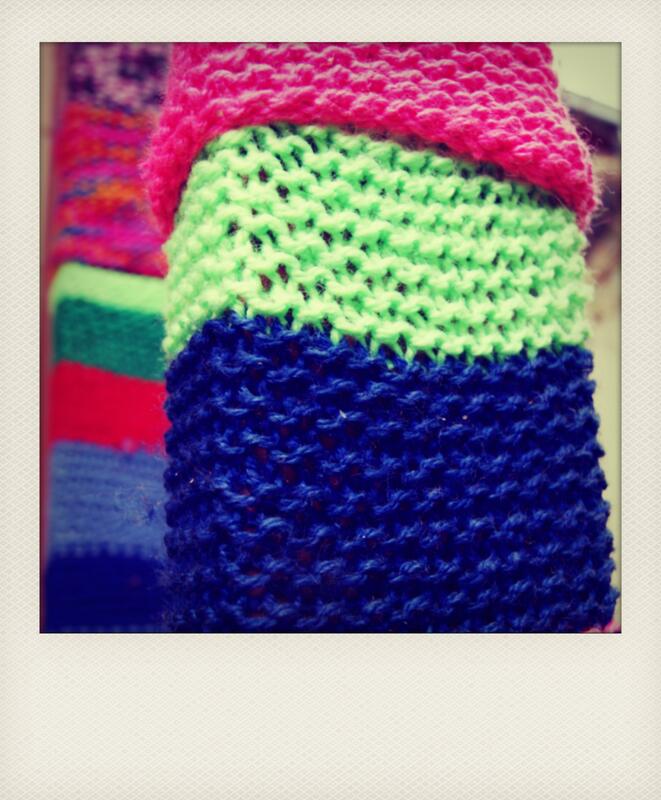 Junk shopping is a pass time of mine & the funny little objects that I find inspire me. 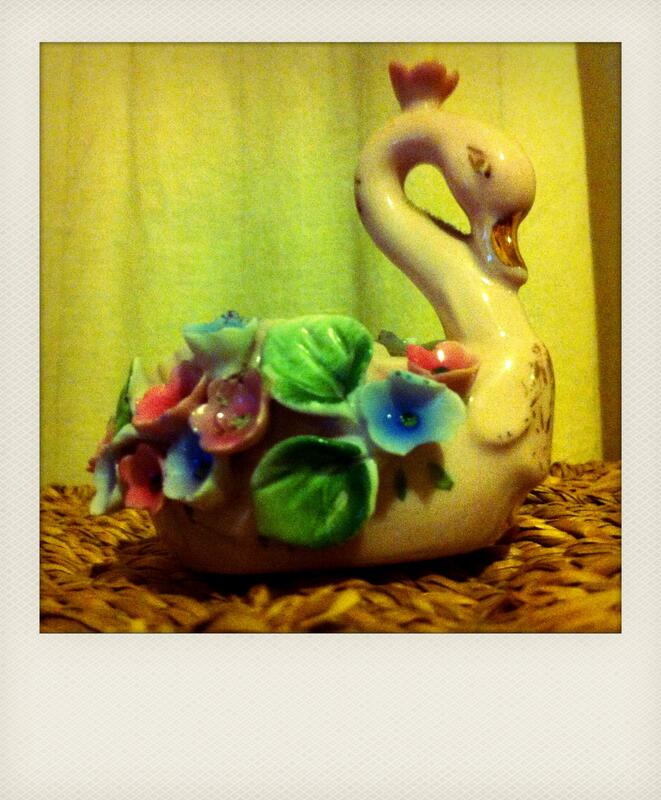 I love the kitsch elegance of this swan. 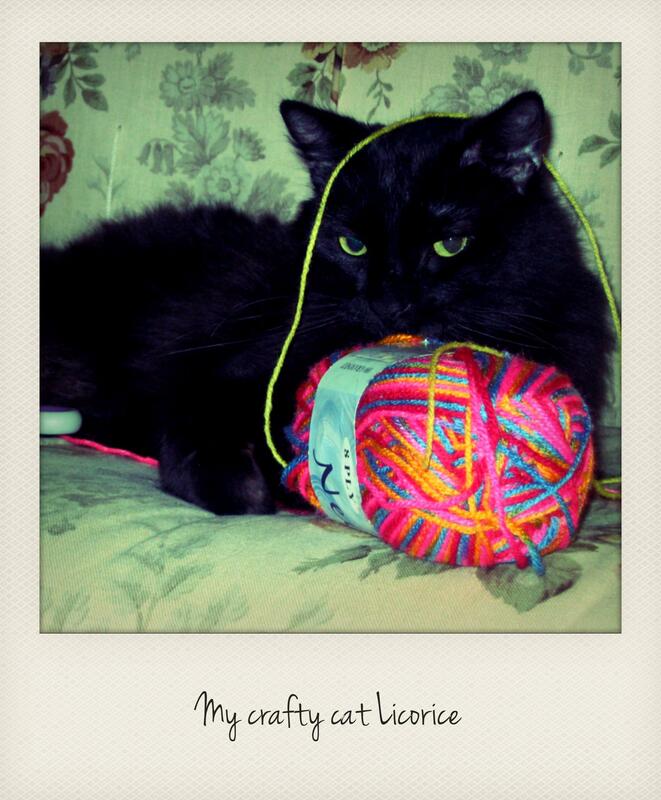 I also love the retro feel of polaroid photography. 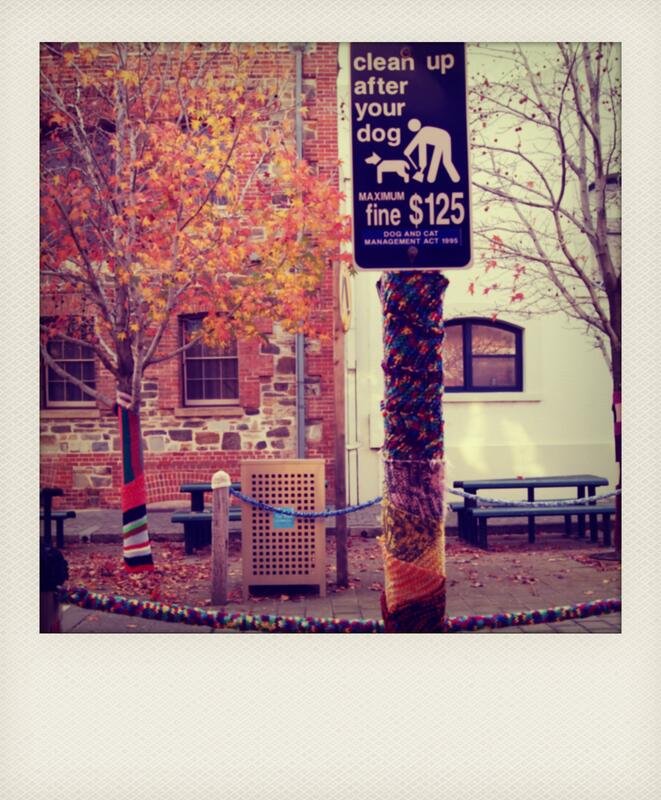 This entry was posted in polaroid pictures, Yarn bombing and tagged knitting, photography, polaroid, shoes on August 22, 2012 by yarnbomb.